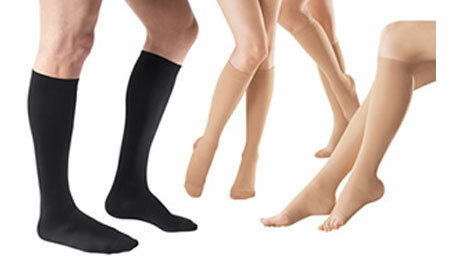 Compression stockings are specially designed to apply pressure to your lower legs, helping to maintain blood flow and reduce discomfort and swelling. They are generally recommended as they provide external support to the vein walls and work in conjunction with the calf muscle pump. Here at Drug Store Health Mart, we have a variety of sizes, colors, and lengths of compression stockings that addresses your issues and suits your specific health needs.